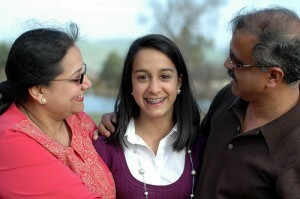 Parents visiting USA from countries like India and China has increased in recent years with the advent of the jet-age. In this scenario, it is necessary to find the best visitor insurance company providing top coverage in America for senior visiting parents, older aged relatives. One of the basic requests in the quest to find the best visitors insurance is that it has to have the most extensive and maximum benefits with minimum quoted premium costs. There are many visitor insurance providers in USA and also in other countries, which provide visitors health insurance for visiting parents and helps any parent guard against high medical costs in the visiting country. There are many America visitor insurance providers that offer the best travel medical plans with top-notch health benefits. Also available are very low cost visitor insurance plans from providers in USA and you have to do an extensive research before buying any policy, due to hidden factors and fine print that may be difficult to understand by a layman. Read the plan details for right information is available in the brochure on insurance products, as there might be some hidden conditions or exclusions which you might not be aware of by just glancing through quickly. Make sure all your required needs are covered in the visitors insurance plan and check the quotes form the insurance company directly. If you come across cheap visitor insurance plans, check the policy as you might end up in more co-pay or may not cover all the diseases or conditions. VisitorsHealthInsurance.com has listed the best visitors insurance plans from different provider companies to choose from, based on experience and interview from talking to many immigrants and other residents living in USA and purchasing plans for visitors to USA. Atlas America Insurance is a popular visitor medical insurance for visiting parents and relatives in USA. Atlas America Insurance is for non-American citizens and is one of the popular insurance providers for parents, friends, relatives and tourists visiting USA. Atlas America visitor insurance plans have coverage for emergency medical evacuation, natural disasters, complications of pregnancy and many more. Atlas provides benefits through its wide PPO network. Atlas has many plans for international visitors and in some cases they offer free insurance for dependents child. Patriot America Insurance is designed for USA visitors and travelers and is popular in USA immigrant community. Patriot America visitor insurance offers coverage for a minimum of 5 days to 1 year. They are perfect fit for anyone seeking short term benefits such as students, parents, friends and relatives visiting USA. Pre-existing conditions are not covered in the Patriot America plan and a minimum of 1 month coverage needs to be purchased to be eligible to renew the policy in the future. The Patriot America Plus Insurance offers acute onset of pre-existing condition coverage for parents visiting USA and below age 70. For even better features, consider the Patriot Platinum America Insurance which adds additional features to the Patriot America Insurance plan by providing up to $8,000,000 of maximum coverage benefit with enhanced features and services, and includes pre-existing condition coverage with age restrictions, also offers global concierge and assistance services. Liaison Continent Insurance provides protection to parents who are citizens of any nation when they are traveling away from home, and is an ideal insurance coverage option for visitors to the United States and international travelers. Liaison Continent Insurance is renewable and offers up to $1,000,000 in medical benefits. Liaison Majestic Insurance meets the needs of visiting parents and tourists to USA. Liaison Majestic visitor insurance offer comprehensive visitor health insurance benefits and provide access to network of thousands of international doctors and hospitals in its First Health network. Other popular insurance plans from the same company include Liaison Worldwide, Liaison International, Liaison Continent for USA visiting parents. Diplomat America Insurance is for non-US parents and relatives visiting USA. Diplomat America visitor insurance offers coverage for persons age 80 or older and are eligible for Plan A with US$50,000 maximum benefit. Diplomat America Insurance provides accident and sickness medical coverage, travel assistance, and accidental death and dismemberment benefits to foreign nationals while visiting the United States. Visit USA Insurance is one of the oldest plans and offers coverage for visiting parents or relatives for a duration of a minimum of 15 days to a maximum period of up to 12 months, and benefits are available per incident/illness (each incident or accident in the plan duration is covered to the policy maximum selected), and the policy can begin as early as the next day.